Spanish bullfight is world famous. This sport has always been considered a symbol of bravery. Do you want to experience the fun of bullfighting? Let’s try our mechanical rodeo bull ride. The mechanical rodeo bull ride is a very exciting and thrilling amusement equipment. The appearance is a simulation mechanical bull controlled by the computer. Running with the loud Spanish bullfighting song music, which is full of irritation and challenge. 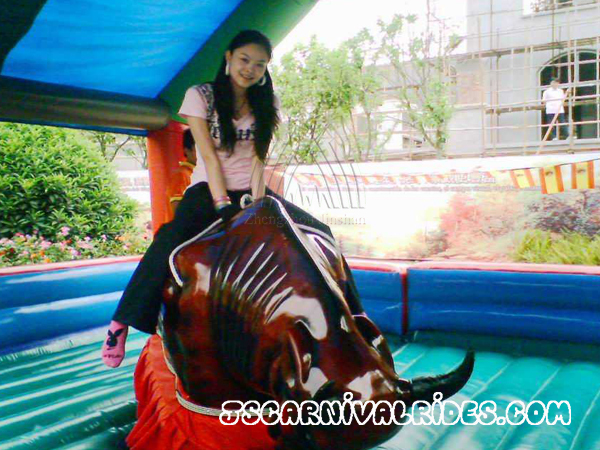 The mechanical rodeo bull ride can help to cultivate the players’ character and make them become braver and stronger. It can also help to exercise players’ physical coordination ability. The mechanical rodeo bull ride greatly cater to modern city people’s strong desire to conquer and thrilling seeking demand. 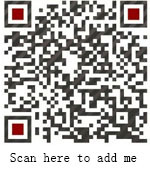 Advantages: We apply motors from regular large manufacturers and standard accessories. Therefore, our mechanical rodeo bull rides are durable, low failure rate, small footprint and very interesting. Packing Details: a pair of mechanical rodeo bull ride including a host computer, a set of safety inflatable protective pad, a microcomputer control box and a remote control. Working Principles: the mechanical rodeo bull ride is drove by the cooperate of DC motor and single-phase AC motor. The crankshaft drove by the RV reducer will drive the swing device and the simulation mechanical bull swing ups and downs, while rotating at the same time. The machine has another cabinet control box, which monitor the working state of the machine and the implementation of motion instructions. The mechanical rodeo bull ride contains a sensor that can automatically stops the bull when the passenger leaves the bull. Next： How To Well Plan The Operating Site Of Amusement Equipment?